Before you write your first chapter, ponder your opening sentence, or jot down a single word, there’s one step you should always do first, no matter your genre or style. When you first come up with a concept for a story your head begins to fill with ideas for it – the genre, setting, year or historic era, a concept for a main character or an intriguing subordinate one, a few twists for the plot, a few examples that illustrate your theme and/or support your message, and many, many more. Before long, you have hundreds of notions running around in your head bumping into each other. You don’t want to forget any so you either keep revisiting them over and over again or you jot them down on napkins, sticky notes, or even index cards. At the same time, you are trying to figure out how to make all these mosaic pieces fit together into the single image of your story, and that just adds to the chaos going on in your creative mind. You might as well admit it – it’s a mess in there. And the problem is that there is so much going on you don’t have room to stand back and see the big picture much less space to come up with new ideas either. This leads to gridlock, anxiety, and frustration, all of which are the breeding ground for writer’s block. That’s no way to start the story development process. It might even stall you out before you really get started. The moment you decide you have enough ideas that you’d like to develop them into a story, sit yourself down and do a “core dump” of everything you already have rattling around in your head. 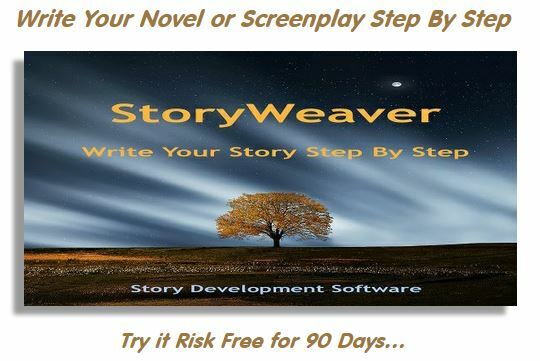 Just start jotting it all down with no rhyme or reason – every character trait, storytelling trick, plot twist, genre element, dialog or style notion that you are juggling in your mind. This isn’t the time to try an organize it or make sense of it or try to make it all work in concert. This is just the time to clear you mind by getting all the ideas into one place, safe and saved in a document. There’s no limit to how long or short your list of ideas needs to be. You write them down until you run out of them. And there’s no rule about how to format them – it can’ be in a list, a series of sentences, or even short descriptive paragraphs that really capture the flavor of what you have in mind. The magic happens when you are finally done and the myriad of creative notions you’ve been entertaining are all in front of you in one place. Then, you can finally clear your mind, stand back, and see the big picture. Just in looking them over you might see connections among the concept that never came to mind before because you’d never been able to directly bring two ideas together in the ongoing stream. And you also will be able to see where you have lots of development and where it is thin or even missing. For example, you may find you have a really well delineated plot but only a couple of characters and no message. It will be different every time you do this for every story you write. But once your mind is clear and you can get that overview and also start playing one idea against others, you’ll find that from that point forward your story development takes off like a rocket. 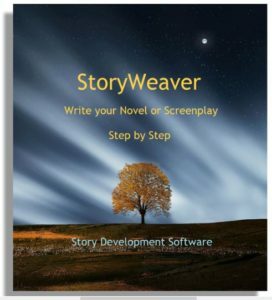 This method is SO important that we made it the first of more than 200 steps in our StoryWeaver Story Development Software. You can try it risk-free for 90 days on our web site at Storymind.com where you will also find hundreds of original articles on writing, free writing classes in streaming video, and much more. This entry was posted in Novel Writing. Bookmark the permalink.